You're not alone. Millions of people don't know how to tackle their health issues, or to improve their health. Most people don't know that bright light at night keeps them from sleeping well. Most people don't know how sunlight influences their health. Most people don't know how to breathe properly. Most people don't even know exactly what to eat. 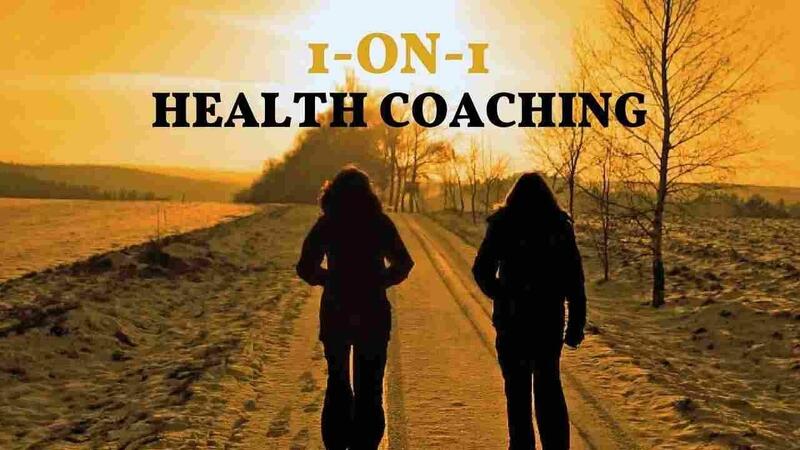 In the 1-on-1 coaching program, we'll together identify the biggest obstacles that prevent you from reaching your best possible health outcomes. Unless you're extremely healthy, you probably have some obstacles that prevent you from improving your health. Almost all people have obstacles to their health nowadays. For example, you might be living in a toxic environment, which keeps you fat. Or you might be working night shifts - while not knowing how night shifts ruin your sleep and health. Alternatively, you might already be pretty healthy, but just want an edge. I'm here to move you improve your health, no matter what level you're at right now. Improving health is not easy. You're probably going to have to make some changes in your lifestyle. You have to quit seeing health as something that you can improve during the summertime, or next year, or when you're 50. Without health, you cannot work. Without health, you might not be able to know your grandchildren. Without health, everything you do in life will be worse. Be honest to yourself: you might need help to achieve that health. I can already hear the objections: "Isn't $200 a lot to spend on 1-on-1 coaching!?". Well, that depends! You see, getting to the core of your health issues will save you a lot of money in the long run. Take the following example. Let's say you're not sleeping well, and you're losing 2 hours of sleep each night. Assume that you're paying me for 5 coaching sessions, which total a little below $750. Also assume that you're making $25 an hour at your day job. Let's say that within a month, I can help you sleep better, so that you sleep very well for an additional 2 hours each night. 2 hours a night saves you $50 of productivity a day. That's $350 per week, and more than $15.000 per year that you're saving by just fixing your sleep issues. On a lifetime basis, the savings will be even greater. So, no, I do not think that $200 for an hour-long 1-on-1 coaching sessions is expensive. It's dirt, dirt cheap. Not taking care of your health issues, on the other hand, will be very expensive. Almost all people make mistakes around their sleep. Almost all people make mistakes around their light exposure. Almost all people make mistakes around what they eat. After identifying possible problems, I'll then give you some simple steps to take action. With these simple steps of action, you can improve your health situation. I do want to be 100% honest here. I'm not saying that I can cure your illness, if for example you have an autoimmune disease. What I'm saying instead, is that if you have an autoimmune disease, there are probably still actions that you can undertake to improve your symptoms. Some of the things we do in modern society are very simple. For example, almost everyone is watching television at night. But if you do not protect yourself from the light frequencies emitted by the television screen, you'll sleep poorly. Yes, you heard that right: the light from the television screen that enters your eyes ruins your sleep. Knowing how to protect yourself from that light, can help your sleep. Sign up for coaching today. And if you are disappointed, you'll get your money back. Don't wait any longer to take care of your health. Sign up today.